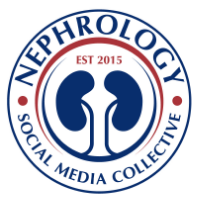 Nephron Power: TOPIC DISCUSSION: low K and low Mg?? We always talk about low Mg levels causing low K levels? If you replete the Mg, you shall correct the K? Why is this phenomenon happen? Mg is absorbed mostly in the proximal tubule. The fine tuning is done in the DCT cell with the TRMP6 channel and allows the final exit or entry pathway for Mg. The hypomag-opathies are related to these TRMP6-pathies! Any defect in the TRMP-6 channel can lead to mg wasting and hypermagnesuria and hypomangesemia. The place where K and Mg are meeting each other are in the ROMK channel area. Some studies have shown that in the setting of high Mg levels in the cell, the ROMK channel is inhibited and less K is leaked out in the urine. In the setting of low Mg levels, the ROMK channel is more active and more K is leaked out leading to hypokalemia. Another reason that is mentioned is usually in the ascending loop of Henle. The secretion of K channels are ATP dependent( less ATP more open, more ATP less open) and low Mg levels can decrease the amount of ATP production and hence those channels are more open leading to K losses. Correcting the Mg and fixing the intracellular Mg should fix the hypokalemia. Other conditions that might be responsible for both losses such as diarrhea, or diuretic use like HCTZ should be considered as well. Other electrolyte disorder you have to keep in mind is hypocalcemia. If there is severe hypomagnesemia, it is a stimulus for pth and secondary hyperparathyrodism then can lead to hypocalcemia. Hey Kenar, you mentioned in the post that most magnesium is absobed in proximally. However, I learnt that magnesium is the one of the very few solutes whose absrorption mostly occurs in thick ascending limb of loop of Henle and distal convoluted tubule. Ref: KI 1997 - http://www.ncbi.nlm.nih.gov/sites/entrez/9350641. Thanks for the interesting points on mg-k handling. Sri. Yes you are correct. Thats an error, most of the filtered Mg is re absorbed paracellularly in the TAL of Henle.